An elite armed unit and sniffer dogs will be on hand at the Cheltenham Festival (12–15th March) as police vow to issue a ‘very strong anti-drugs’ message to racegoers. Last year, only two arrests were made for drugs offences over the 4 days of racing, but officers are said to be planning a ring of steel around this year’s event. Drug-detection dogs and their handlers are thought to be forming the main deterrent to potential drug use by racegoers. The racing industry is anxious to avoid any repetition of the ugly scenes at Haydock this year when a mass brawl broke out in front of the stands. Similar disturbances were seen at Ascot and Goodwood last year. 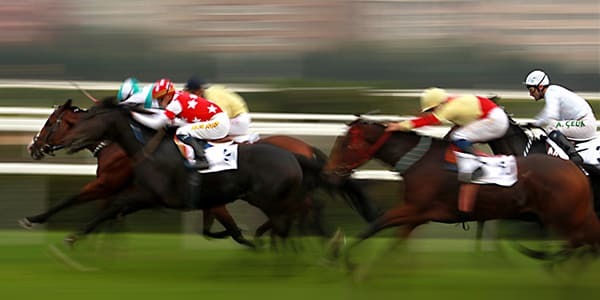 The Racecourse Association has acknowledged that the presence of illegal substances is a trend which continues to rise across all major spectator events. However, it insisted that racecourses were being robust in applying a zero-tolerance approach. As well as sniffer dogs, amnesty boxes have been regular sights at busier fixtures. Ian Renton, Regional Director of Cheltenham and the South West for Jockey Club Racecourses, said: “We have a large security presence here for the Festival, both from the police and security companies”. A couple of years ago, the Festival cracked down on the availability of alcohol to try to discourage excessive drinking. That policy will also continue to ensure all racegoers can have an enjoyable time without any sign of rowdiness.